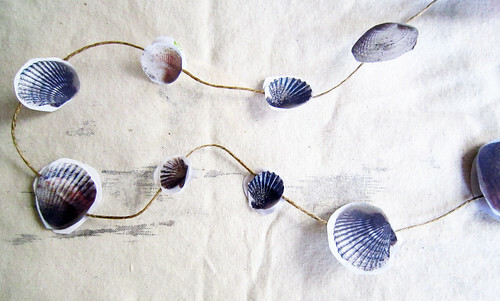 I have been creating all kinds of simple coastal inspired decorations from all of the finding from my beachcombing this week. Since this year I purchased a small table top tree, I kept all of my creations small. 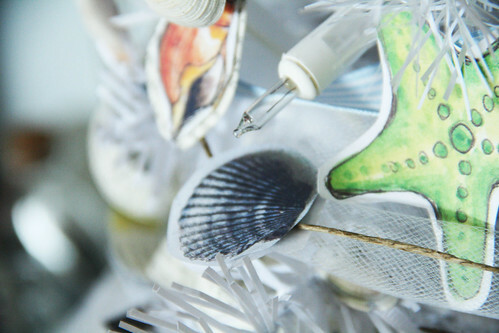 I stared by adding a little ribbon and beads to the clam shells. 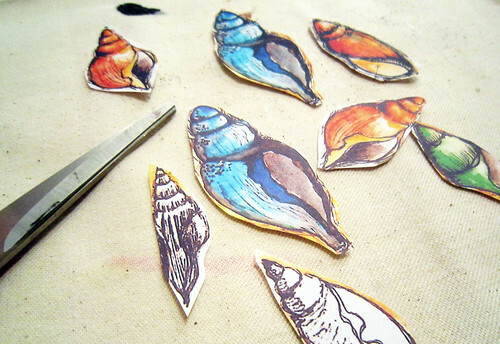 I used the photos that I took of all the shells and printed them out. 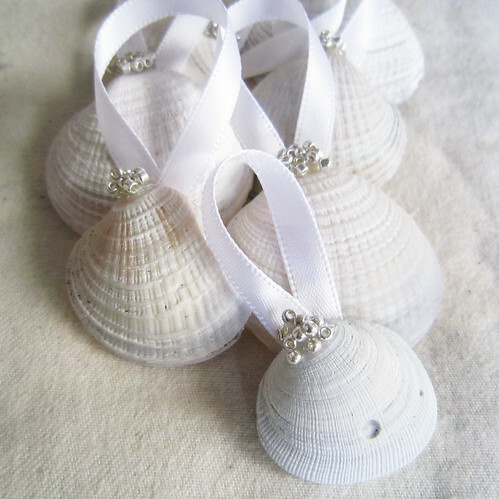 I cut out each shell and glued them to a piece of twine to make a garland. 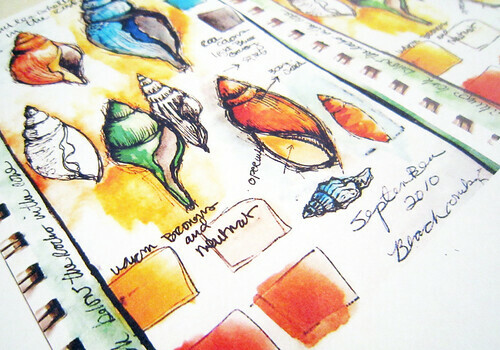 I used shell drawings from my sketchbook and made color copies. 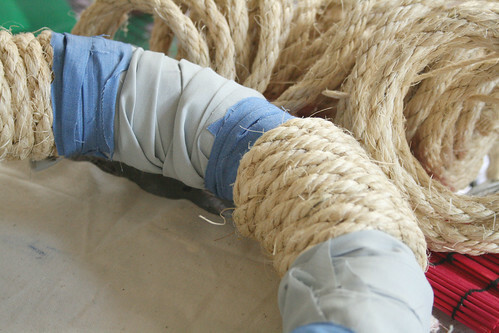 glued each of them to a book page and added a little piece of twine to the top. 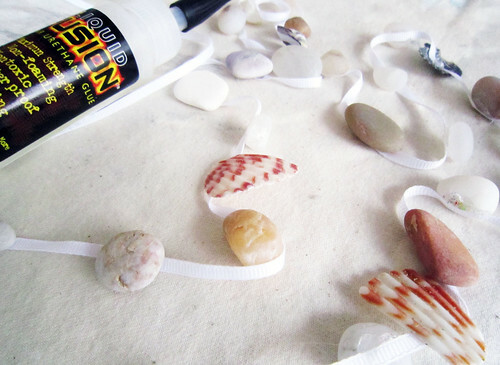 I created another garland with ribbon and all the bits of tiny shells and pebbles. 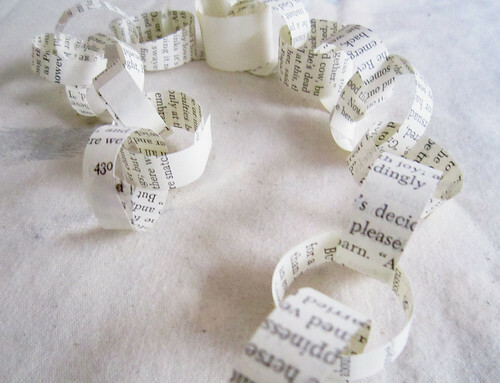 I couldn't resist making a small chain from book pages. 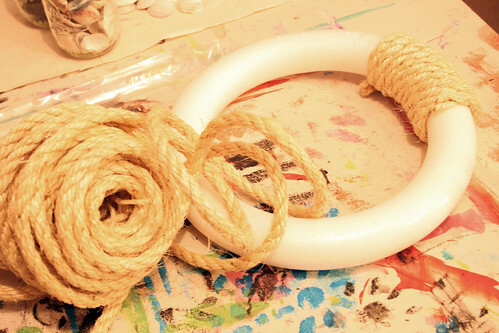 I made a nautical wreath by wrapping rope and scraps of fabric around a styrofoam wreath form. 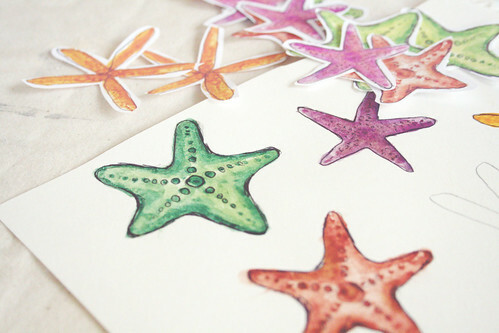 I made little watercolor starfish to place throughout the tree. 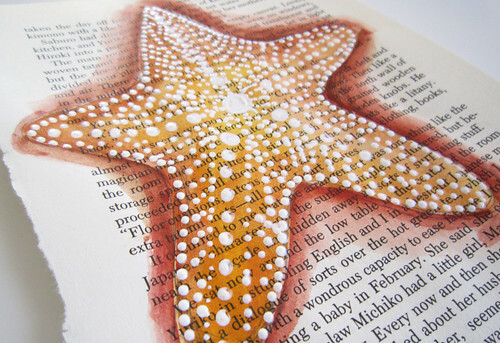 And I painted a large watercolor starfish for the tree topper. I even used scrap fabric to sew a little skirt for the tree. 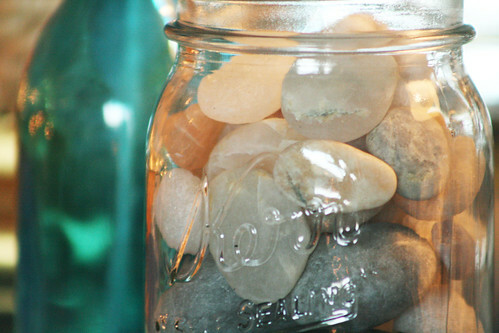 I filled jars with my collection of rocks. 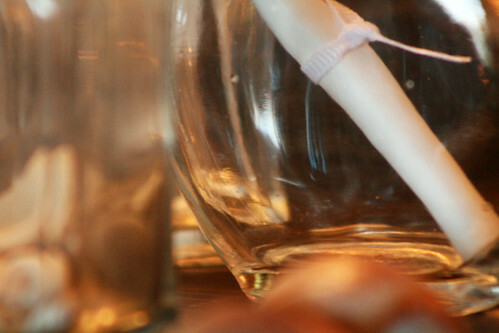 I even put notes in bottles. wow! that all looks amazing! can't wait to see the tree. This is incredible suspense. I am dying to see the final product! 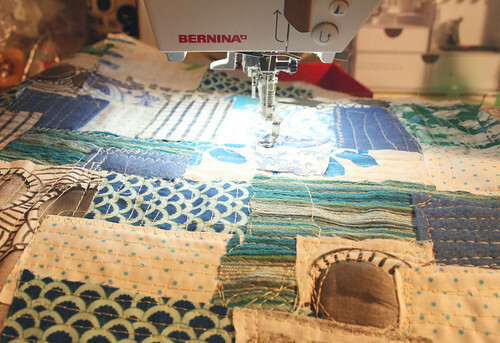 IT LOOKS AWESOME, ALISA! Love the wreath, too! Nice work! How amazingly clever! I love all things coastal so found this very appealing. I'll bet you enjoyed every minute of its creation. what great ideas...it could only be a white tree for this theme!! Amazing!Thank you for the inspiration!Ariadne from Greece! 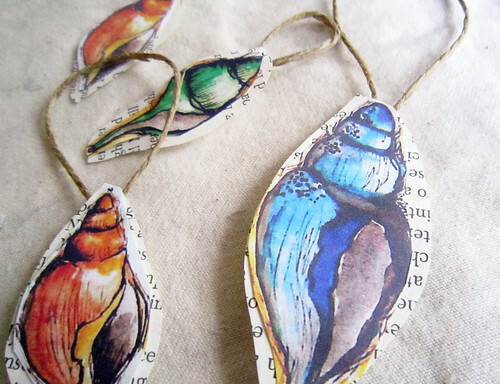 I really like your use of nature in your creations - so pretty!